You are cordially invited to attend a meeting about a remarkable person whose life, teachings and humanitarian works are changing the world. Saturday October 9, 2004 at 7:00 P.M. to 9:00 P.M.
7:10 pm - Speaker: Dr. David Gries, Ph.D.
8:00 pm - Speaker: Dr. Yassin Sankar, Ph.D.
Dr. David Gries, a native of New York, received his doctorate from the Munich Institute of Technology, Germany. Since 1969, except for a few years, he has been on the faculty of Computer Science at Cornell University, USA, serving as Department Chair for five years and currently as Associate Dean of Engineering. Since 1985, Gries has been associated with the Sri Sathya Sai Institute of Higher Learning in India, and he generally teaches there for two weeks each year. 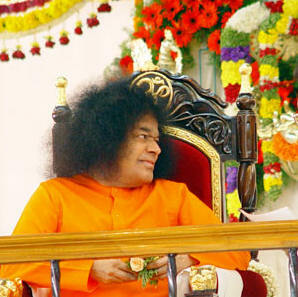 He is the webmaster of the International Sai Organization website, www.sathyasai.org and is currently Chair of Zone 1 of the International Sai Oraganization. Dr. Yassin Sankar is Professor of Management in the School of Business Administration at the Dalhousie University, Halifax, Nova Scotia, where he has been on the faculty for 30 years. He has a Ph.D. in Education from the Johns Hopkins University. He has written several books and articles on technological change, education, human values, and ethics, and management. He is currently in the process of completing two additional books: The Quest for Ethical Leadership, and International Management and Comparative Ethical Systems. 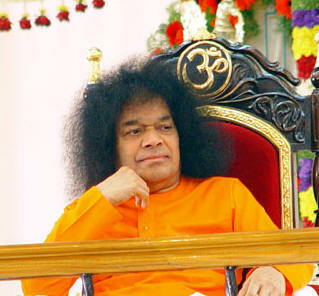 Sri Sathya Sai Baba is a highly revered spiritual leader and world teacher, whose life and message are inspiring millions of people throughout the world to turn Godward and to lead constructive and virtuous lives. His timeless and universal teachings, along with the example of his own life, are attracting seekers of Truth from all religions of the world. He was born as Sathya Narayana Raju in 1926 in Puttaparthi, then a remote hamlet in South India. As a child he was brilliant in his studies, but what made him unique was his extraordinary wisdom and compassion. At the age of fourteen, he declared that he would henceforth be known as Sai Baba and that his mission was to bring about the spiritual regeneration of humanity by inculcating love for God and service to all beings. Or over seven decades, his life has been a stirring and moving saga of love and compassion. Today, Prashanthi Nilayam – his ashram (spiritual oasis) in South India – attracts thousands of spiritual seekers from virtually every corner of the globe. This ‘abode of highest peace’ offers solace and inspiration to all who aspire for Peace. 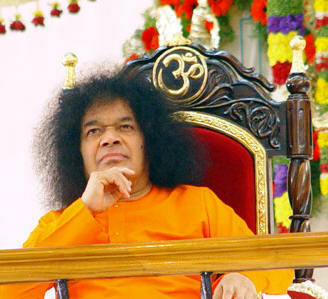 Healthcare: Sathya Sai Baba has established four hospitals, two of which provide advanced tertiary care. The hospitals are equipped with state-of-the-art technologies in cardiology and cardiothoracic surgery, neurology and neurosurgery, nephrology and urosurgery, and ophthalmology. To date, thousands of surgeries have been performed absolutely free. Drinking Water: Starting from the mid-nineties, Sathya Sai Baba has executed massive drinking water projects, bringing much-needed relief to millions of villagers. For these long-suffering people a century-old dream has come true – safe drinking water, available free and throughout the year, right at their doorstep. Rural Outreach: Every year, the students and staff of Baba’s University fan out into neighbouring villages and spend nearly two weeks distributing food and clothes, house to house, bringing comfort and love. This has inspired similar long-term projects throughout rural India and increasingly in other parts of the world. The Sri Sathya Sai Organization has a presence in over 100 countries with more than 2000 Centres world-wide, over 50 of which are in various cities across Canada. The centres provide a place to meet, study, and practice the teachings of Sathya Sai Baba. These Centres are engaged in selfless service in their local communities. The Centres also offer devotional meetings with group singing, meditation and prayer. Two programs of character development – Sathya Sai Education in Human Values and Sai Spiritual Education – are offered to children to inculcate the five human values of truth, right conduct, peace, love, and non-violence and to teach the fundamental truths underlying all religions. Such value-based spiritual training is also the basis for the Young Adult Program of the Organization.